New stats claim to show a jump in the number of families trying to cross border. Homeland Security officials say the recent controversy over the Trump administration’s “zero tolerance” policy and the separation of children from parents crossing the border illegally has resulted in a dramatic increase in the number of families now trying to sneak into the United States. The U.S. immigration system continues to suffer from a “loophole,” and “frankly the highlighting of that loophole that’s occurred all summer” has produced “a very stark trend,” the head of U.S. Customs and Border Protection, Kevin McAleenan, told reporters on Wednesday. “It is a crisis of significant proportions, from a humanitarian perspective and a security perspective,” he added. 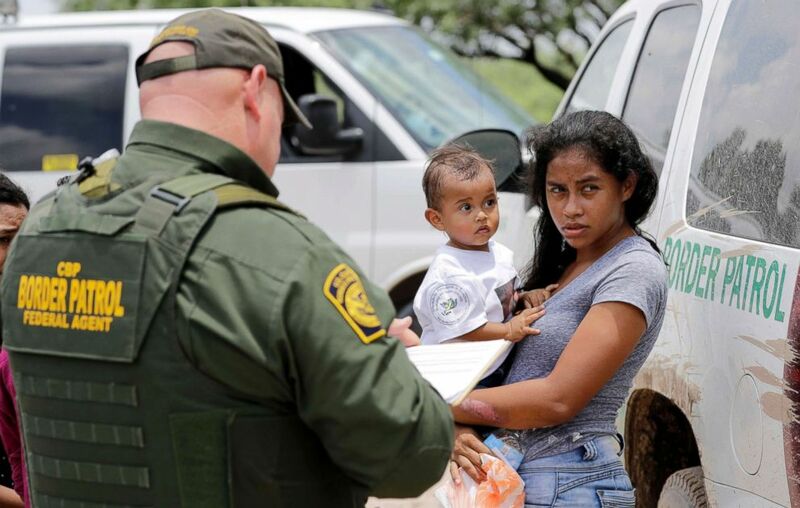 (David J. Phillip/AP) A mother migrating from Honduras holds her 1-year-old child after surrendering to U.S. Border Patrol agents for illegally crossing the border near McAllen, Texas, June 25, 2018. The U.S. Border Patrol apprehended 12,774 "family units" along the southwest border in August — a 40 percent jump from the month before, according to statistics released Wednesday by the Department of Homeland Security. By comparison, from March through July, the Border Patrol apprehended well under 10,000 family units each month, according to DHS. Similarly, the number of family units apprehended last month represented 34 percent of all southwest border apprehensions, an increase from an average of 25 percent for the rest of the year, according to DHS. The Trump administration has faced significant backlash since announcing in April that it was adopting a “zero tolerance” policy on immigration. In particular, lawmakers on both sides of the aisle denounced the policy for leading to the separation of more than 2,500 children whose parents or other family members tried to sneak them into the United States. In late June, amid mounting pressure, President Donald Trump signed an executive order halting the family separations and calling on Congress to resolve the matter permanently. But the executive order also “highlighted” the “gap in the legal framework” and “made it clear that it still exists,” so it “has contributed to this flow” of family units to the southwest border, according to McAleenan. “The realization that that gap still exists for family units ... has led to a steady increase,” he said Wednesday. (Adrees Latif/Reuters) Men and a woman are transported in the back of a truck after they were apprehended by the Border Patrol in Falfurrias, Texas for illegally crossing into the U.S. border from Mexico, Aug. 30, 2018. At least some immigration advocates, however, don't buy into McAleenan's assessment. The loopholes and the laws behind them are not new, so suggesting that "the continued enforcement of those existing laws has caused this increase doesn’t make any sense,” a former senior White House and Homeland Security official under the Obama administration, Peter Boogaard, told ABC News. In addition, Boogaard said, the news coverage from the summer reflected children getting separated from their families and "horrific treatment" by some officials. "I don't know how that would be considered a pull factor," he said, adding that he believes other unknown factors are to blame for the spike in apprehensions last month. Indeed, a spokeswoman for the Migration Policy Institute said her Washington-based think tank believes "a combination of a few things" has brought on the boom in families at the border. "Undoubtedly, migrants are aware of U.S. policy and policy shifts, including an end to the family separation undertaken earlier this year," spokeswoman Michelle Mittelstadt said. "But arrivals also tend to increase at this time of the year. Seasonality is a factor beyond the U.S. policy one." According to current law, families that are apprehended after trying to enter the United States illegally can only be detained for up to 20 days. “Smugglers and traffickers understand our broken immigration laws better than most, and know that if a family unit illegally enters the U.S. they are likely to be released into the interior,” DHS spokesman Tyler Houlton said in a statement on Monday. However, Boogaard pointed to a new report by the American Immigration Council, which concluded that over the past 15 years the "vast majority of families released from detention showed up for court." "86 percent of released family members (with completed and pending cases) had attended all of their court hearings that occurred during our study period. This rate was even higher among family members applying for asylum: 96 percent of asylum applicants had attended all their immigration court hearings," said the report, released last month. Meanwhile, McAleenan noted that last year, only 1.4 percent of family units apprehended by U.S. authorities along the Southwest border were ever deported back to their home counties. And now the federal government is still working to reunite all of the eligible families separated as a result of the policy announced in April. 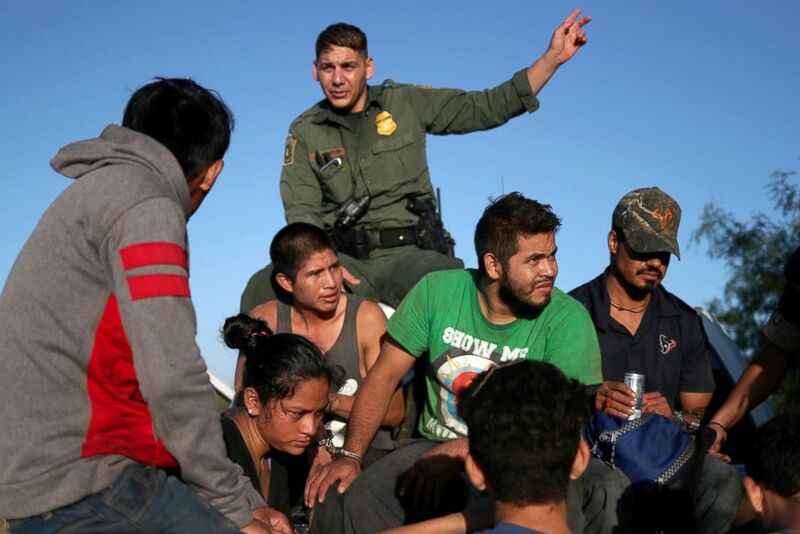 In all, the DHS statistics released Wednesday show that 37,544 individuals were apprehended last month trying to sneak across the Southwest border – a jump from 31,299 in July and 34,091 in June.